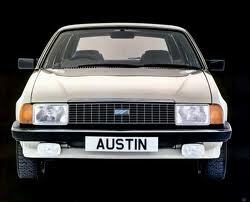 The Austin Ambassador was a medium-to-large hatchback automobile introduced by British Leyland (BL) in 1982. The car was a heavily updated version of the Princess, an ageing model which lacked a hatchback. Only the doors and inner structure were carried over, but the slightly wedge-shaped design betrayed the car's Princess origins, and it was not considered a truly new model.